PUNE: As one of the security measures taken on account of the Republic Day on January 26, the Pune Airport Authority has taken a decision which will restrict visitor entry inside the terminal building from January 20 to January 30. This step comes in view of the heightened security arrangements for the Republic Day. Ajay Kumar, Pune airport director, said, “It is a practice which is being followed at all the airports across the nation. The visitor entry at the airports is stopped as a security measure.” On occasions like Independence Day, Republic Day and other occasions of emergency, visitor entry has to be stopped to avoid any breach of security, he added. 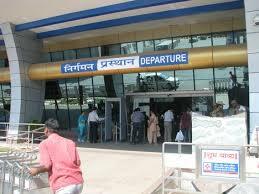 Usually the passengers are allowed to enter the airport terminal building by buying a ticket of Rs. 75. There is a certain area permitted for the visitors inside the terminal building at every airport across the country. Also, a special Central Industrial Security Force (CISF) force will be deployed on field in case of a situation of emergency. “A special team of CISF is always present at the Pune airport. This team is called the ‘Reserved CISF Team’. This team becomes active only in cases of emergencies,” said Kumar. Also on occasions like the Republic Day and Independence Day and in other situations when there is a VVIP movement, this team is deployed,” said a senior CISF official involved in security beef-up exercise.